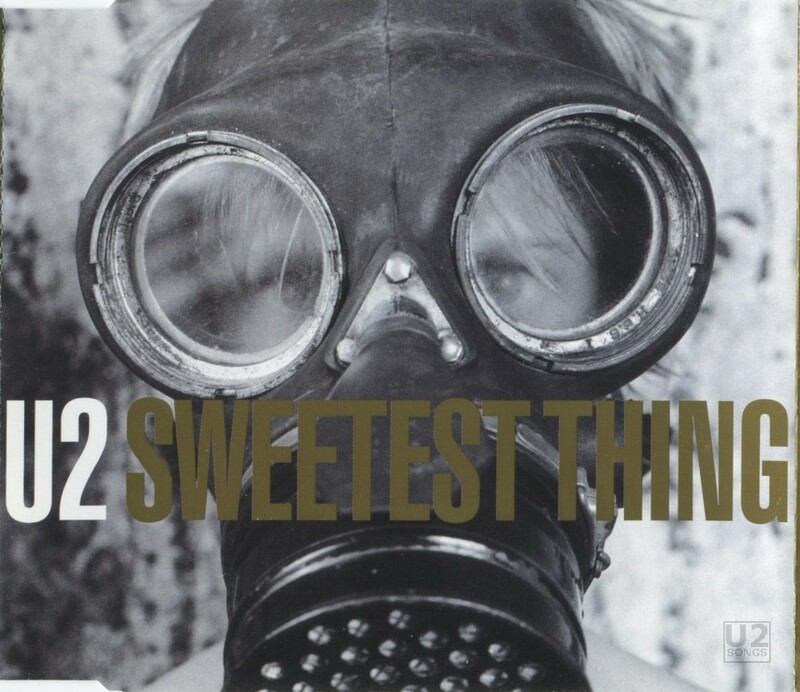 “The Sweetest Thing” was the first and only single released to promote the new compilation “The Best of 1980 – 1990” in late 1998. The song had been re-recorded for this compilation, and it was not the 1987 version of the song that was released as a single. A number of promotional releases exist of “The Sweetest Thing” including a jukebox vinyl promo on 7-inch vinyl. That vinyl was pressed for use throughout the UK, and contained “Sweetest Thing (The Single Mix)” on one side and “Stories for Boys (Live from Boston)” on the reverse. It was released in a generic sleeve, with a silver molded label on the vinyl itself. A number of 5-inch promotional CDs were also issued worldwide. In Brazil there was a 5-inch CD issued in a generic PolyGram card sleeve, which contained just the title track. In the UK there were two different promotional CDs. The first a one-track promo just containing “The Sweetest Thing” came under the catalog number SWEETCD1 and was released in a slimline jewel case with a full insert. The second, released in a generic Island card sleeve contained not only “The Sweetest Thing” but also contained “Twilight (Live from Red Rocks)”, “An Cat Dubh (Live from Red Rocks)”, “Stories for Boys (Live from Boston)” and “Out of Control (Live from Boston)”. This version of the promo was released with the catalog number CIDDJ727. And in the USA, there was also a one-track promotional release, which was released in a regular jewel case with full artwork. THe cover for the promotional single featured Peter Rowen in a gas mask as did the single, but the titles here are across the top of the cover, instead of in the middle. Some copies of the CD were distributed in the UK with accompanying candy carrying the “Sweetest Thing” theme to another level. Both chocolate bars and more traditional candy were produced. The chocolate bars were wrapped in a wrapper that mirrored the cover of the singles. Produced by Steve Lillywhite with Daniel Lanois and Brian Eno. Recorded by Joe O’Herlihy and Pat McCarthy. Additional recording and mixing by Steve Harris. String arrangment by Daragh O’Toole. Strings: Una O’Kane, Nicola Cleary, Aengus O’Connor, Nicholas Milne. Recorded live at Red Rocks, June 5th, 1983. Recorded and mixed by Steve Lillywhite. Recorded live in Boston, March 6th, 1981. Recorded and broadcast by WBCN. Courtesy of Warner Bros. Records. Photography by Ian Finlay. Design by ABA, Dublin.